BIF Genetic Prediction: Genetic Evaluation at Angus Genetics, Inc. Details of genetic evaluation are published in their Sire Evaluation Report. angus.org/nce The first four papers of the report contains the details of the evaluation. Miller states that it actually functions as a nice animal breeding textbook. Angus Genetics, Inc. does evaluations for 6 clients, ranging from weekly to annual evaluations. The weekly evaluation of Angus is a bit like Groundhog Day, same thing week after week. When they switched to single-step they asked the question if the new evaluation was actually better. They compared to the independent evaluation done by USDA-MARC. The new evaluation performed better. Because the single-step model allowed them to fit more traits in the same model, they improved the carcass trait model. By adding in weaning weight, they were able to produce a less biased, better model. 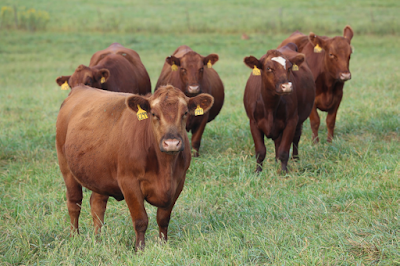 American Angus just added in 20,000 heifer pregnancy records from Canada. In 2019, they will transition foot structure EPD from a research EPD to a published EPD. Future traits include PAP, tenderness, hair shedding, immunity, and others. Angus is currently working through a rebuild of their selection indexes. They had over 3,000 respondents to their survey. 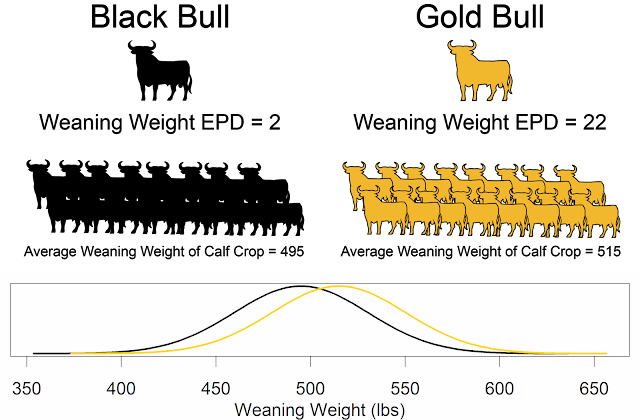 Cow traits still dominate traits that Angus breeders are concerned about. They hope to launch these new indexes in 2019. AGI is working on identifying the best variants to put on chips (DNA tests). They are constantly striving for better through an iterative process.